On Sunday 18th March 2018, the weather in Bega and nearby coastal Tathra was forecast to be a very hot 38 degrees Celsius, low humidity and high westerly gusting winds. So a Total Fire Ban was appropriately declared the afternoon prior by New South Wales Rural Fire Service Commissioner Shane Fitzsimmons. The Fire Danger Rating was set locally to just “High”. Around midday a fire started on or near the rural property at 580 Reedy Swamp Road, situated about 8km SE of Bega on the western edge of the Tanja State Forest, with the outskirts of Tathra situated on the eastern edge just 4km downwind. When will the ignition source be published so devastated Tathrans learn the truth? It was a simple fire in bushfire terms. It started adjacent and upwind of state forest bushland in hot windy conditions and kept going in the same direction as the wind blew it until the wind dropped. It was wholly predicable, not rocket science. So the circumstances are indeed suspicious, but we expect a cronyistic cover up. The nearest bushfire brigade is the Tarraganda Fire Shed on Tarraganda Lane about 6km NW of the ignition site, but government expects local volunteers to respond on standby, under-resourced to defend their community last minute with no financial compensation. Four kilometres east is the outskirts of Tathra along Thompson Drive across the Bega River. This is locally referred to as the Tathra River Estate – a Bega Council approved satellite suburb invading remnant native habitat. There was no lightning, so what was the ignition source on this day of declared Total Fire Ban? How long did it take the RFS to discover the fire after its estimated ignition time? How did the RFS learn about the ignition? Proactive real-time geo-stationary low-orbit satellite with infrared camera or just a reactive public call to ‘000’? How long did it take the RFS to arrive on site to suppress the fire? We’re talking mum and dad volunteers here, apparently arriving on the fire ground at 12:43pm to do squat. What is the point of having fire trails throughout the Tanja State Forest if when there is a bushfire emergency, they are too dangerous to use? 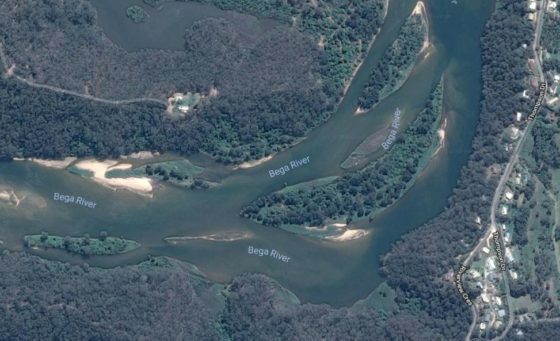 When did the RFS realise that the gusty winds would spot embers over the Bega River and impact Tathra? When the embers spotted over the river? 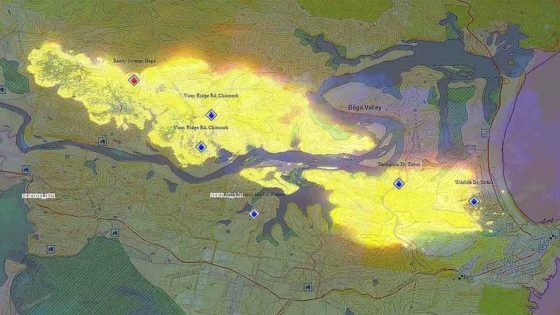 What bushfire preparations and asset protection zones had been in place for Tathra, if any? Given that Tathra was obviously bushfire prone, which homes were Bushfire Attack Level assessed and compliant? Where was the RFS Erickson S-64 Air-Crane purpose designed helicopter Elvis with its 9,500 litre water dumping capacity? Where was the RFS C-130 Thor with its 44,000 litre water dumping capacity? It cruises at 540kph, so from its base at Richmond it could have been deployed and effective over the active fire edge imminently set to impact Tathra within an hour – 360km as the crow flies! – if they were military standard professional. So the fire was left to burn into the Tanja State Forest because, according to the RFS cultural scarce resource mindset, it was not immediately threatening property. She’ll be right. A bit of unauthorised hazard reduction wouldn’t go astray. What habitat? 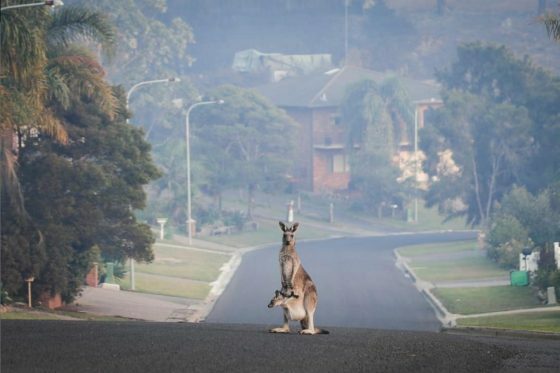 The fire was only incinerating the flora reserve which provides habitat for one of the last Koalas communities along the Sapphire Coast. The RFS dubbed the fire the Reedy Swamp Fire or the Tarraganda Fire. Residents were only advised to “Watch and Act”, whatever that means. Then mid-afternoon the wind picked up as per the usual diurnal wind variation profile. 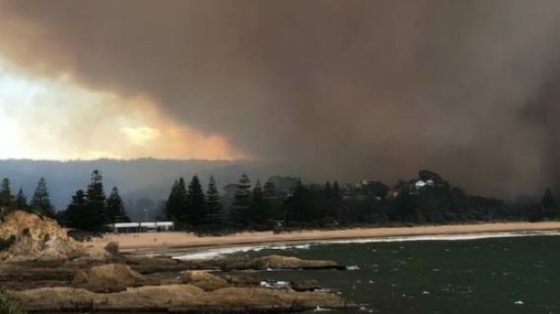 So with 38 degrees Celsius and 30 kph plus nor-westerly winds, the fire raced out of control through dense bushland toward the western outskirts of Tathra on the coast. At no time did the fire front change direction. It was heading towards Tathra from the outset. 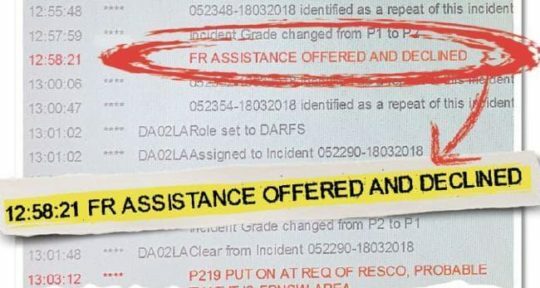 Incident logs from Sunday show Fire and Rescue NSW, a state government agency, offered additional emergency brigades and assistance at 12:34pm in response to a flood of Triple Zero calls from the area. Those offers were declined before the agency attempted to offer more crews again at 12.58pm – again being rejected. RFS Deputy Commissioner Rob Rogers said while the fire was burning in remote mountainous terrain, “it would have been dangerous to have [Fire NSW] there”. The purpose of fire trails? Habitat reduction. She’ll be right. It was only at 3.40pm that authorities from the Rural Fire Service did request extra help, issuing a priority request for all available assistance, as the fire front rapidly approached Tathra. Shortly after 2.30pm the bushfire intensified as winds picked up. By 4pm the fire had hit Tathra and NSW Rural Fire Service volunteers warned residents it was too late to leave. But it wasn’t the 7km bushfire front misreported by the media. The early spread of the bushfire started at around 500m wide and then spread to about a 1500m wide front, spotting ahead as it was fanned by the gusty WNW winds. The bushfire front tracked from the ignition near Reedy Swamp downwind 7 km toward Tathra Head at the coast. The only thing seriously stopping the bushfire was the weather or the sea. RFS deputy fire commissioner Rob Rogers said the bushfire quickly got out of control after it started yesterday afternoon. “It jumped very quickly to a place called Thompson Drive and that was where the first home was impacted and it just really quickly ran then into the main part of the town,” he said. What is the point of having a Catastrophic rating if it isn’t used? Deputy Commissioner Rogers said dealing with nature was not always “an exact science”. “There has been dozens of hazard-reduction activities in that area,” he said. “There was one that was only two or three years’ old and the fire went straight through that burn as well. This time 65 homes, 35 cabins and caravans destroyed, and dozens more damaged. Only last January the Tathra Launderette caught fire and destroyed the premises as well as the adjoining Bliss Stylists hairdresser and Little Bottler Tathra Cellars. But criticism is taboo because the government sends in volunteers, who are automatically beyond reproach. The politicians are very quick to remind us at every bushfire aftermath. The RFS in hindsight are reporting it as “catastrophic” and “a perfect storm”. It’s frankly a bit late Shane Fitzsimmons and are they now furiously shredding their communication records? “It will never be the same again,” said Renata Boulter, a Tathra resident of 26 years. Trust government’s used and abused volunteer force with your livelihood? The insurance damage bill will be in the hundreds of millions, again, and that ignores the human, livestock and wildlife cost ignored by a sound bite media. Ina few weeks the ghoulish media filming amongst the ruins in their shiny hi-vis wear will have packed up and moved on. It’s another Dunalley (Forcett bushfire) (2013), another Yarloop (2016), another Mundaring (2018), another Marysville (2009), Canberra (2003), Cockatoo (1983), Anglesea (1983), Hobart (1967), Leura (1957). On each occasion, the bushfire had been not threatening houses and so wrongly left to burn in some cases for days, then the wind picked up in the afternoon as it usually does and it was all too late. And the lawyers will no doubt be getting in for their pound of flesh, just like Maurice Blackburn profited $100 million in fees out of the victims of Victoria’s 2009 Black Saturday bushfires. Tathra victims would be well advised to read up on Garry Angus, Kinglake victim, who suffered $4.2 million in economic losses. But after six years trustful waiting, Maurice Blackburn offered him a compensation cheque for $120,000. He sent it back to them in disgust. The lawyers also exposed the victims compensation to a $20 million tax liability – so the government to a cut from the victims compensation as well. The western outskirts of Tathra, known as Tathra River Estate, bore the brunt of the bushfire. It was subdivided and developed and built out from 2013. The NSW Government Department of Planning and Infrastructure and the Bega Council happily approved the ‘Planning Report: State Environmental Planning Policy No. 71 (Coastal Protection) Master Plan: Tathra River Estate, dated June 2012. 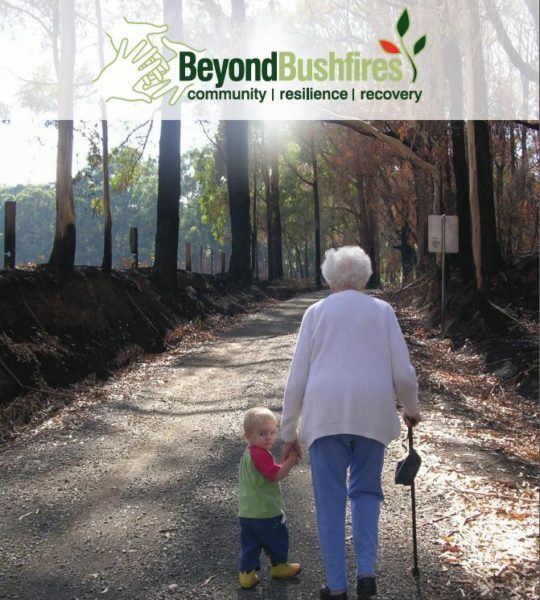 Concerns over the current inadequacies of bushfire access was raised during submissions, as the well as the cumulative impact of additional dwellings and the need for emergency access in the event of a bushfire. Many of the residential houses decimated by the fire were built between the 1960s and 1980s, in cheap and nasty asbestos. No bushfire tolerance. She’ll be right. The provision of Asset Protection Zones, connection to the fire trail network and emergency access around the edge of the development apparently addressed many of the concerns. It was then up to Bega Council “to consider other matters in a bushfire emergency strategy.” What did Bega Council do or not do? We suspect cronyistic developer corruption. The NSW RFS raised no objection to the Master Plan. Yesterday, Tathra River Estate (Thompson’s Drive or Estate) as well as similarly recently approved housing subdivisions extending into the native bushland such as Wildlife Drive and Sanctuary Place, bore the bushfire frontal attack. It’s called ‘Wildlife Drive’ for a reason. There is shared culpability here, and how did they get home and contents insurance? It costs $20,000 a day to keep the Elvis air crane on stand-by and an additional $11,000 a day to operate. This extrapolates to $11 million a year to have Elvis ready and able to seriously suppress bushfires. Sounds like a lot of money but the economic loss and emotional cost besetting Tathra residents? In 2015, the NSW Rural Fire Service unveiled its latest fire fighting weapons, including a monstrous-sized former RAAF C-130 Hercules converhuman ted water-bombing tanker capable of dropping up to 44,000 litres of water on any bushfire any time. It costs a bomb, but what cost Australian livelihoods? The official economic cost of the Dunalley (Forcett) bushfire was $100 million, the Yarloop bushfire $45 million, Marysville $300 million and Canberra $300 million. “The reality of the disaster and its aftermath formed the ongoing backdrop of children’s daily lives. Children from a very young age through to older youth experienced anxieties and upheavals at home, in school, in sport, in friendship groups and in the community. Of course there will be another government enquiry, so the government is seen to given a damn. There are the same number of government enquiries as there have been bushfire tragedies since the Black Friday back in 1939. It concluded – “Mistakes We’re Made”, and then the report gets filed and bushfire fighting returns to business as usual and set to repeat history. The 1939 Black Friday fires in Victoria burned almost two million hectares, claimed 71 lives and destroyed more than 1,000 homes, including entire townships. In adjusted terms, these fires cost some $750 million. On 1983 Ash Wednesday fires in Victoria and South Australia claimed 75 lives, more than 2,000 homes and over 400,000 hectares of country. Total property losses were estimated to be over $400 million. Between 1967 and 1999, bushfires in Australia resulted in 223 deaths and 4,185 injuries, and a total economic cost of more than $2.5 billion. Victoria’s Black Saturday in 2009 cost $4.4 billion and 173 lives. For Tathra yesterday, it could and should have been responsible, militarily heroic, and quite beautiful – professional fire suppression like Sydney gets, where emergency professionals have proper resources at their disposal, are properly remunerated, and so residents entrust the firies to save their homes and family. Where was it parked this time? In 2017 the NSW Government delivered a $4.5 BILLION surplus, so they are not exactly struggling. 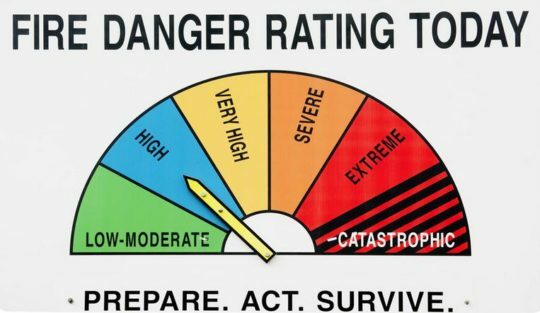 Tathra is a microcosm of Victoria’s bush-enclosed Mornington Peninsula coastal residence west of Rosebud; timber and fibro shacks enveloped in a tinder dry tea-tree forest – in a bushfire Forest Fire Danger Index scary scenario – another catastrophic crematorium waiting to happen. What does the land manager National Parks Service say about Tanja State Forest? It is part of the Murrah Flora Reserves which encompasses 4 areas covering nearly 12,000 hectares and include Murrah, Mumbulla, Bermagui and Tanja flora reserves along the New South Wales Sapphire Coast. The Murrah Flora Reserves were created in March 2016 and are significant to the local Aboriginal Yuin People who own neighbouring Biamanga National Park. 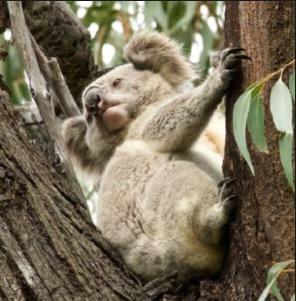 They also provide an important conservation role, as habitat for the last significant koala population on the NSW South Coast and other threatened species, such as the long-nosed potoroo, yellow-bellied glider and the powerful owl. Of course it was “overgrown”. It’s called wildlife habitat. And firies, it’s scarce and valuable and worth defending. It is not expendable. yet another 1200 hectares of native habitat set aside for supposed sanctuary has been incinerated. It was a defacto RFS hazard reduction again gone wrong. Koala in the Murrah Flora Reserve, probably incinerated. Photo by David Gallan. 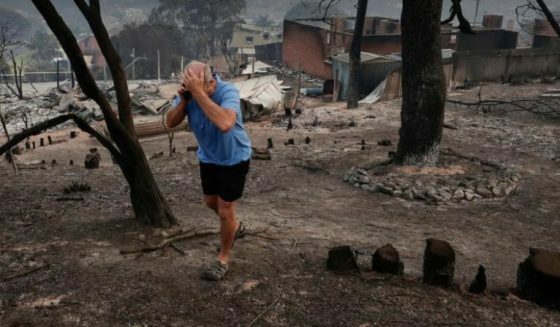 ‘Angry survivor returns Black Saturday payout to ‘only winner’, Maurice Blackburn‘, 20170501, by Reporter Pia Akerman published in The Australian Newspaper, ^https://www.theaustralian.com.au/in-depth/bushfires/angry-survivor-returns-black-saturday-payout-to-only-winner-maurice-blackburn/news-story/ea9fe705b2616852235851e62424adea. ‘As cheques from the record-breaking Black Saturday class ­actions finally began flowing to bushfire survivors in December, many of the victims welcomed the payments as the end of another chapter in their emotional and financi­al recovery. Not Garry Angus. He, with an unquantified number of the thousands of claimants who joined the lawsuits, remained angry about Maurice Blackburn’s handling of the cases. The accountant from Pheasant Creek, just outside Kinglake, decided to put his money where his mouth is and sent back his cheque for $120,000. Now he is launching a website for fellow survivors to register their complaints about Maurice Blackburn’s administration of the settlement scheme. He hopes support from other aggrieved claimants will bolster his bid for a judicial review of the $494 million Kilmore East-Kinglake settlement and the $300m settlement for the Murrindindi-Marysville fire, announced in 2014 and 2015 respectively. Like a number of other bushfire survivors who have spoken publicly, Mr Angus is angry at the fees Maurice Blackburn has stripped from the settlements — more than $100m — and the Australian Taxation Office’s claim that the firm has acted unusually to expose the funds to a tax ­liability of about $20m. He is also furious at how his case was personally handled, claiming that the firm was lax in communicating with him, and only junior staff dealt with him (even misspelling his name on his formal assessment notice). 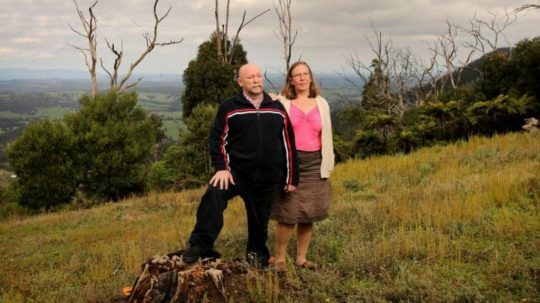 Before the February 2009 bushfires, Mr Angus owned and managed an accounting firm that employed eight people. He owned four investment properties around the Kinglake area, losing­ two completely to the blaze. He brought a 2000-page tome of his financial records with him to his meeting with assessor Neil Rattray, and says the barrister was clearly overwhelmed and ­admitted he might not be the best person to handle this complex case. Mr Angus’s claim for $4.2m in losses — largely based on future earnings from his firm, which he closed while struggling with post-traumatic stress disorder in the fires’ aftermath — was dismissed by Mr Rattray. The barrister did not accept he would suffer from any future loss of earnings or earning capacity, arguing that his business had been struggling and there was “no real suggestion” the company would be successful in the future. In a submission to Supreme Court judge Jack Forrest, who oversees the Kilmore East settlement scheme’s administration, Mr Angus has accused Maurice Blackburn of failing in its duty of care, and asked for an independent review. Maurice Blackburn has stood by the assessment, saying Mr Angus missed his chance to formally request a review (for which the firm charges $3800 if the finding is against the claimant). “Given Mr Angus never objected­ or asked for a review during­ the assessment process, it’s an odd protest to now hand back a substantial cheque because of a desire to obtain more money,” a spokesman said. Mr Rattray told The Australian he could not comment on Mr Angus’s claims, but in the reasons for his assessment, he noted that Mr Angus had treatment for ­depression and panic attacks ­before the bushfires. Since the fires, he has been suicidal­ at times, needing extensive­ medical ­treatment and occasional ­hospitalisation.